The GST Network will process as many as 3.5 billion invoices each month. Taxpayers may be required to file as many as 37 returns a year. Small businesses which haven't been in the tax net before may continue work in cash. There can be no gain without pain and that may be especially true when it comes to taxes. As about 160 countries overhauled their indirect tax systems, they confronted numerous challenges. Latecomer India is unlikely to escape some havoc. When Canada implemented its goods and services tax in 1991, retailers offered customers "Don't Blame Me for the GST" stickers amid cash-register snafus and vending-machine meltdowns. In Australia, Japan, Malaysia and Singapore, where the GST was lower than pre-existing rates, the new regimes initially pushed up inflation, according to a May 26 report from Nomura Holdings Inc.
India, which is scheduled to combine more than a dozen levies into ' one nation, one tax' on July 1, has more room for error than most. Not only does the country's size and diversity make the challenge daunting -- 1.3 billion people, 29 states, 22 official languages -- it's also implementing multiple rates. Some companies may be coming into the tax system for the first time and both federal and state governments, some ruled by different political parties, will jointly administer the new system. "Certainly there will be an adjustment period, there is no doubt about that," said Arvind Panagariya, vice-chairman of Niti Aayog, the government's top policy planning body. It's not clear "how painful or how long" this period would last. The GST Network will process as many as 3.5 billion invoices each month. Taxpayers may be required to file as many as 37 returns a year. Experts doubt the system will be able to seamlessly match billions of credits, facilitate tax collections, provide refunds and check evasions. "Non-functioning of the GSTN portal, due to technical glitches is something which could give sleepless nights to the industry and thus can be a dark nightmare, " said Harpreet Singh, partner, indirect tax at KPMG in India. Some companies, particularly in the consumer goods sector, are selling off their inventories to avoid having to deal with two different prices for the same product. Some may also be delaying production so they can claim a credit against their costs for the first time under the new regime. Conversely, once July 1 rolls around there could be transportation bottlenecks as stores rush to restock. The fact that most commonly used items will be taxed at a lower rate than previously argues that the GST should in theory be disinflationary, according to the Nomura note. 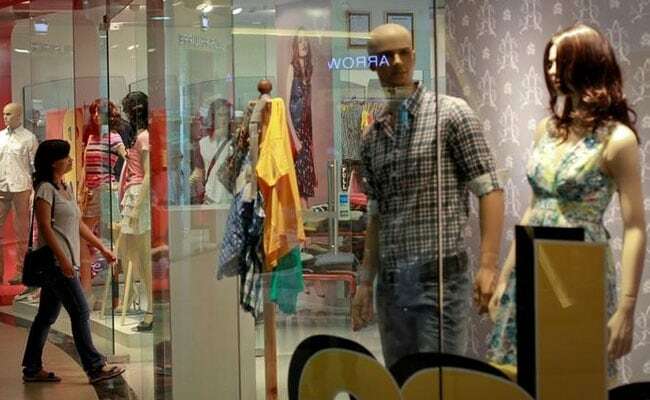 But Sonal Varma and Neha Saraf, authors of the note, said that while the consumer price inflation could drop by 33 basis points in the short term, core inflation could rise by 60 basis points because of increased taxes on services. They note it may be difficult for authorities to enforce anti-profiteering rules. GST laws have introduced multiple new concepts like "supply" and "location of supplier" which can throw up different interpretations. Lack of tax literature and judicial precedents may add to confusion as industry and lawyers begin to grapple with new concepts, said Singh of KPMG. Small businesses which haven't been in the tax net before may continue work in cash and have less than perfect books. Nevertheless, they'll be required to upload their tax details to the GSTN and compute their returns if they fall across the threshold for inclusion under GST which stands at 2 million rupees ($30,983) of annual sales. "Overall there will be some nagging problems to begin with on the implication and compliance sides," said Madan Sabnavis, chief economist at Credit Analysis & Research Ltd. in Mumbai. "But this will be temporary for the first six to nine months." Getting more of India's economy into the tax system, may be the country's biggest challenge. Following the implementation of GST in April 2015, there were reports cash registers weren't calibrated to deal with the new regime, government agencies weren't ready and GST refunds were delayed. A minister attracted flack for posting pictures and recipes for fried rice on social media that would be GST-free based on items that would be exempt. Opposition parties have scored political points with the rising cost of living likely to be a major campaign topic in polls expected within months. Following the introduction of a value added tax in 1977, a game of hide and seek broke out between tax officials implementing the new system and market vendors seeking to avoid taxation, prompting newspaper Dong-A Ilbo in 1978 to describe the year as a "365-day nightmare." The day the indirect tax regime applied, some taxi drivers thought the new system applied to taxi fares and argued with customers that they need to pay 10 percent more than the price on the meter. Three years after pledging in 1995 to "never" introduce a GST, Australia Prime Minister John Howard reversed his policy for the 1998 election, saying he was seeking a mandate to implement a 10 percent tax on most goods and services. He barely won amid a voter backlash, but that narrow victory was enough to legislate a GST that's been used to fund health care and schools funding for the states. It excludes some politically contentious items such as fresh food, pre-owned real estate, and medical and education services.Current Prime Minister Malcolm Turnbull toyed with the idea of increasing the tax to 15 percent, but ruled that out in February 2016.